Global music star, UN Environment Global Goodwill Ambassador and WWF Ambassador, Ellie Goulding woke up the World Economic Forum at Davos to climate change yesterday. Delivering much needed coffee into reusable rCUPS for a team of world-leading climate scientists who had camped out overnight at Davos, Goulding proclaimed them “heroes” and vowed to amplify their call for climate action. 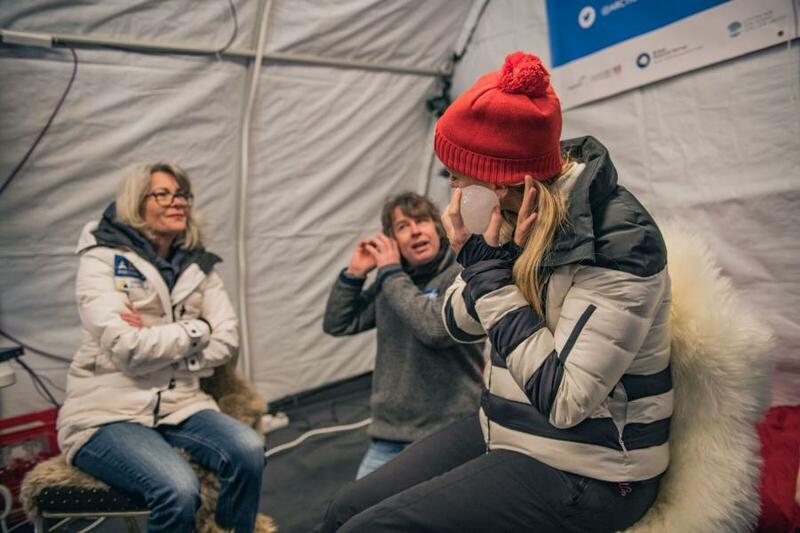 Now in its third year, the Arctic Basecamp replicating a real field study camp, has become a crucial stop off for world leaders and policy makers. A team of scientists led by Professor Gail Whiteman, from the UK’s Lancaster University, is stationed there for the entirety of Davos to talk visitors through cutting edge climate science. Camping outside was born from necessity, in order to avoid spending money that could fund research, on expensive hotels. 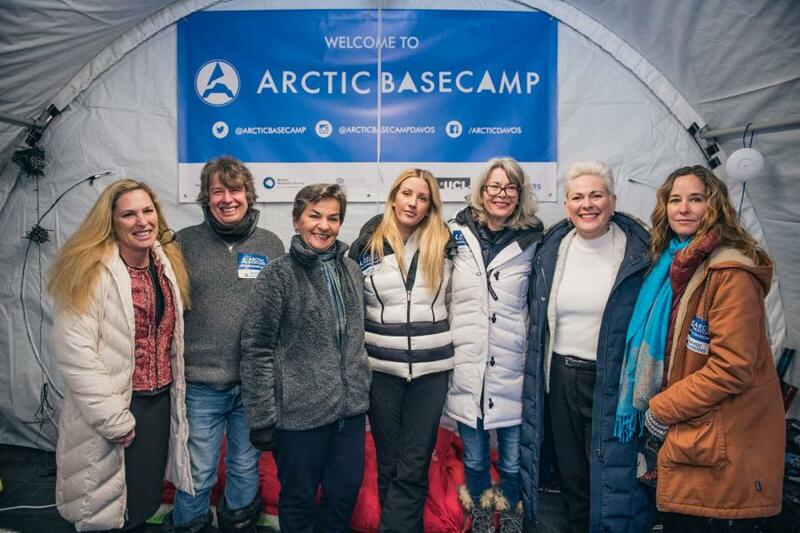 “We were absolutely thrilled to have Ellie here at Arctic Basecamp this morning taking such a profound interest in our work.The Arctic is the barometer of global risk – which means that warming in the Arctic has significant effects on the rest of the planet. We are so concerned about this that we have come to Davos to tell world leaders they need to act urgently to reduce CO2 emissions. We are a hardy bunch and used to cold conditions from our work, but minus 13 for five days is challenging. 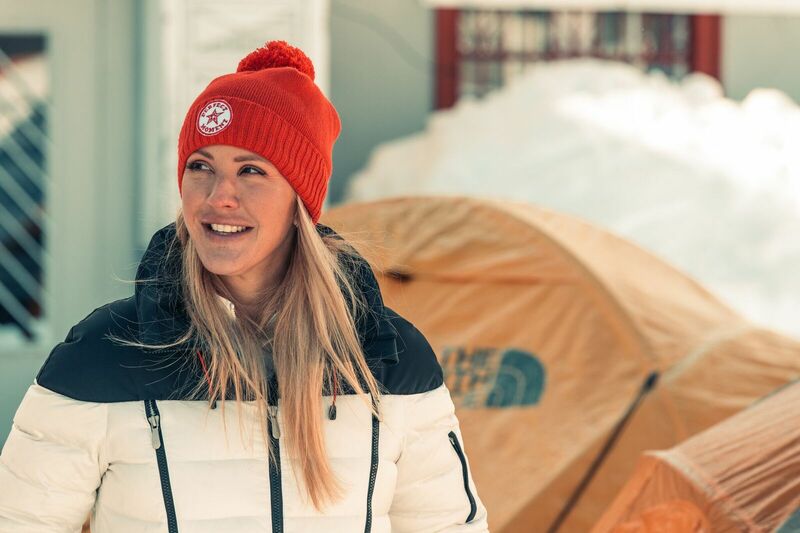 We hope Ellie’s visit does wake up Davos and the wider public to realize the Arctic is fundamental to all of our lives no matter where we live ” states Whiteman. I wanted to come here to the Arctic Basecamp at Davos to show respect to the incredible scientific team who camp out in subzero conditions in order to communicate cutting edge climate science on behalf of humanity. We know that what happens in the Arctic doesn’t stay in the Arctic: the loss of sea ice affects us all so it is crucially important they are here at Davos. In particular the melting of Arctic sea ice will make life very difficult for younger generations. I’m here to make sure that action is taken on their behalf and that we remain ambitious for their future. I knew when I heard about this cluster of tents on the side of the mountain that I had to visit. Scientists here demonstrate the commitment to change that everyone finds inspiring. In them I see real leadership. The hope is that it translates to the world leaders gathered here and they make time to take the funicular up to Basecamp. If I see any [world leaders] I’ll certainly be pointing them in this direction.